You are here: Home / Native Plants / cottage garden / A Cottage Garden, What is It? Is it our natural way of life? A Cottage Garden, What is It? Is it our natural way of life? We have all seen it, the romantic image of the English cottage garden surrounded by a flowering hedge, which encloses a small garden of vegetables, fruits, herbs, wildflowers and chickens scratching in the dust by the gate. That romantic image is not just the product of an artist’s imagination but the picture of a lifestyle that has existed in many places for a very long time. The cottage garden is a type of smallholding or home garden, which is agricultural land smaller than a farm. These smallholdings have existed in the similar form in Europe, Asia, Africa, the tropics, and the Americas. Basically, home gardens can be found all over the world. , Bill Mollison quotes from Edgar Anderson about smallholdings in Central Honduras (Anderson, E. 1976) p. 53. What is described is a smallholding, where a family tended a garden of vegetables, grains, fruits, herbs, and utility plants for their tables. The excess was often traded or shared. We find this plan all over the world. The layout of the garden is what Bill Mollison came to call ‘permaculture’ and he acknowledges that the bedrock of the idea is the ways in which indigenous people have managed their homelands and gardens before the imposition of industrial farming methods. If you want to research and study these gardens, in the scientific literature these gardens are often called “home gardens”. The English Cottage Garden is firmly in the home garden tradition. Archeological digs in the British Isles, have found prehistoric or Stone Age villages, which were small settlements with similar lifestyles of a small house, home gardens, and managing the surrounding land. England has a documented cottage garden history back to the 17th century. Before the 17th century, the literate British writers didn’t concern themselves with the gardens of the ‘lower classes’. They wrote of a monastery, castle, and great estate gardens. When cottage gardens are mentioned, it because they delight the rich as they drive by in their horse-drawn carriages. The flower-filled yards were seen as a contrast to the complicated drama of power, high finance, and court life. The cottagers seem to be living an idyllic life in comparison. This idealization of cottage life would be firmly in the pastoral aesthetic movement in Europe. Cottage gardens were described pretty much as they always have been. The cottage garden often was described as existing in a small settlement such as a hamlet or village or even as small plot in a larger town or city. The amount of land often depends on land conditions, population density, and the political and economic climate. The size of the cottage garden ranged from a few square feet to a couple of acres. The people who lived in English cottage gardens grew their own vegetables, fruit, herbs, and keep a few chickens, a few rabbits, and perhaps a pig. Grain crops were often grown in communal fields and worked by family or community groups. The cottage garden often was beautified by the addition of native flowers. In the past, grazing rights on commons (land held in common and publicly shared which belonged to a village) provided grazing and water for ducks, geese, sheep, and cows. The common land often includes the surrounding woods. The local people would manage the woods by harvesting herbs, medicines, foods, raw materials. Woods were also managed, along with waterways, to create habitats which encouraged the abundance of fish and game animals. Living the home garden lifestyle is what I call, “cottage garden life”. A view of the kitchen garden at Hill Top Farm of Beatrix Potter fame. Photo released by National Trust. In England, at various times an agricultural worker’s conditions of employment included a very small house to live in with a very small plot of land. The land was just enough to provide food for the table. The plot wasn’t big enough to provide space to grow crops to sell or run a small business. That may have given the agricultural worker financial independence and who then could stop working as a farm laborer for the large landowners. Many times in English history the landowners and the gentlemen farmers were hard-pressed to find farm laborers. It wasn’t the very poor farm laborer that created the cottage gardens we think of but the better off tradespeople. Throughout England’s history, cottage garden consisted of trades and craftspeople, and their children. Trades and craftspeople could afford to buy or lease enough land the few acres needed to support themselves in a cottage garden lifestyle. Queen Elizabeth, I decreed in the 15th century, that a small holding could not be less than four acres. Four acres was thought to be ample land for a family to sustain themselves and be productive members of society. Unfortunately, powerful and rich landowners and others whose would have lost some measure of control over the poor and working classes made sure the four-acre minimum was rarely cared out. The traditional kitchen garden of Budlake Post Office. The Post office was housed in a small thatched cottage and served the village of Broadclyst, at Killerton, Devon. But the decree of four acres gives us an idea of just how little (or how much) land a family needed to sustain themselves. It really isn’t much. In some places in England, a ⅛ of an acre) up to a ¼ acre was considered sufficient. How much land is needed depends on soil fertility, terrain, climate, and conditions. Large landowners often used the law and the police force to keep land and resources in the hands of the few, including monarchies. The cottage garden we often dream about is the cottage of those people with a little more independence and means. They were often families with trades and crafts, such as blacksmiths, weavers, potters, millers, carpenters, and others. Cottagers had to earn tax money and the money for shoes, clothes, and other items they could not produce for themselves. They earned money by selling produce, livestock, crafts they produced or the services they performed. They often combined selling items and cottage industries (small-scale making of goods carried on at home by family members using their own equipment) with full or part-time employment. Often times a trades or crafts person’s workshop was in the home or located on their small plot of land. The family could tend their garden and livestock while working their trade. Cottagers were often very reluctant to give up their land and lifestyle. Cottagers wisely decided that working for one’s self-made more sense than working for someone else. The image of the cottage garden that we know today was perpetuated by the British Middle class during the Victorian age in the 19th century. Queen Victoria exemplified the Victorian middle-class utopian ideals of family and home. These values are common among humans beings everywhere, but the Victorians thought they had exclusive rights to the concepts. It is during the 1800s that the British began to glorify and whitewash the cottage garden lifestyle. Cottagers were still poor farm laborers who lived in rented cottages, often in squalid conditions. The rich landlords, some of the early slumlords, rarely fixed leaking roofs, rotting wood, etc. The landlords by consensus built cottages with only two small bedrooms to ensure crowded conditions. A families’ older children had to leave home and find work in the landowners’ fields. The children leaving the home lessened overcrowding and the number of mouths to feed. The landowners did this to have a large pool of laborers. Helen Allingham (1848-1928) made her fame painting images of romanticized images of the simple, close to nature life of cottagers. These were images of happy, contented, calm, law-abiding but dirt-poor peasants who had accepted their impoverished lot in life. They didn’t break laws or try to shake up the established economic and social orders. With the great disparity of living conditions between the rich and the poor, this was very important. But these romanticized images are what I fell in love with. I suspect it is the same for many people. In these sanitized images lies deep truths. Human beings don’t need one hundred acre farms to live on. A small plot of land can provide food for the table. A cottage can contain the workspace for a micro-sized home-based business. A house situated in a small community, whether a city neighborhood of in a small town or village, provides access to the small shops and services of other trades and craftspeople. Instead of old-time traveling peddlers, we have local small business owners. I am so enamored with cottage gardens because I see in them, a deep and ingrained pattern to human existence. If all the humanity’s civilizations were to fall tomorrow, humans would fall back into these basic patterns of human living. 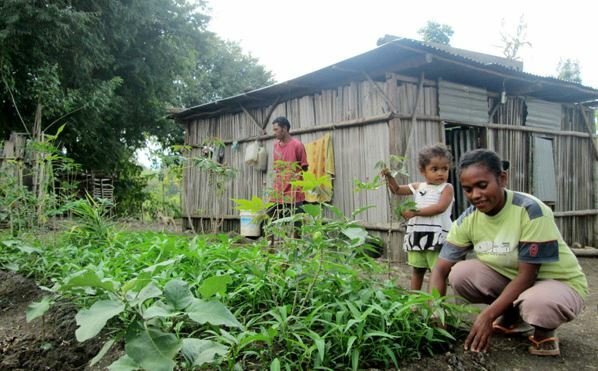 The small house, home garden, practicing a craft or trade, living in a small autonomous community. This pattern is repeated endlessly over the world and throughout human history. At this very moment, even in refugee camps, you see this home garden and small business pattern repeating itself. I have begun to think it is our natural pattern of life. These last couple hundred years of industrialized human life have been a blink in the time span of human history. Some people think these last couple hundred years represent a permanent change to human lifestyles. I think this is unrealistic. A couple hundred years doesn’t cancel out millions of years. For industrialization to be a permanent change it must last a very long time. And with the toll industrialization takes on the environment, that is unlikely. And so I garden. I have a small city backyard where I grow vegetables, fruits, herbs, and lots of flowers. I have a micro-sized home-based business. I am living the cottage garden lifestyle. I have studied small garden living probably since I was about twelve. I read books, visited gardens, asked elders, and tried out different crops and plants. My desire for a cottage style garden is one of the things that lead me to my love affair with native plants. My lone foxglove. Gone but not forgotten. RIP. When I first grew a cottage style garden with traditional English cottage garden plants, the only traditional English plant I managed to grow was Foxgloves. Everything else I tried died. I realized now that much of my failure probably had to do with the English plants which thrived in the cooler, moister climate of the British Isles. These cool climate plants died a quick death in the hot, humid summers and colder winters of Philadelphia and the Delaware Valley where I live. So I started to read about traditional cottage garden plants and I came an upon a line in a book that the English cottagers grew local native plants in their gardens. The cottagers were poor and didn’t buy the exotic, foreign plants that the rich grew to prove to others how rich, sophisticated and cultured they were. The cottagers only grew exotics when they were passed from gardeners at the big houses or from clergy who may have been given the plants by the rich. The native plants the cottagers grew were well suited to the climate and soils. The plants were easy to get and grow. From that moment on I started to study and grow native plants. I started with Purple Cornflower (Echinacea purpurea) and Rudbeckia “Goldsturm’ (Rudbeckia fulgida) and expanded from there. By growing native plants I am carrying out a long cottage gardening tradition. For the types of plants traditional English cottage gardeners grew, there is an equal native plant. Using native plants means an English cottage style garden can be re-created anywhere you can garden on the planet, just use your local native plants. Most people do not realize how much food they can grow for themselves on small plots of land. The place to start is with raised beds and planting simple and easy to grow native crops. And planting native plants helps to restore and manage the local ecosystems. It provides seeds for birds to eat and carry off and spread around. I imagine the birds that devour the berries on my shadbush have spread the seeds far and wide. There are many books written about small gardens, the “garden way of life”, native plants, habitat restoration, etc. We have so much accumulated wisdom on the best ways for humans to live. Home gardens and cottage gardens are forever. Are you a cottage gardener? Share your story with us.